Of all my reflections on the topics of spirituality, psychology, and community, this post represents my best effort so far. If I write nothing more from this point, I think I’ve made a meaningful contribution. But I’ll keep at it anyway. A few of the “big ideas” that repeatedly make an appearance include the grounding mystery, ego strength, and genuine community. These amount to so much scaffolding providing structure for the more detailed work of clarifying what’s really going on for each of us – and for all of us. 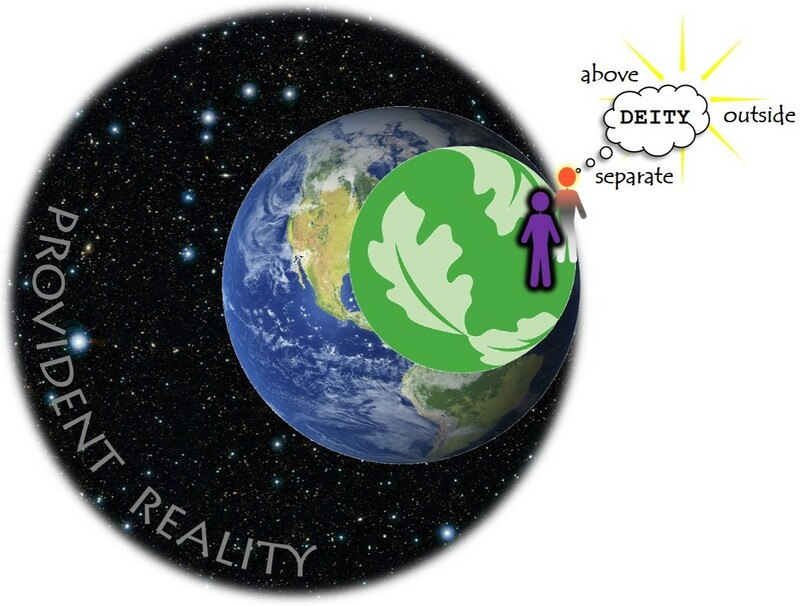 My diagram depicts this scaffolding on the image of a grapevine plant, with its deep roots, outreaching stem and leaves, and the berry cluster announcing its ‘self-actualization’ or, as we might say, its raison d’être (reason for being). 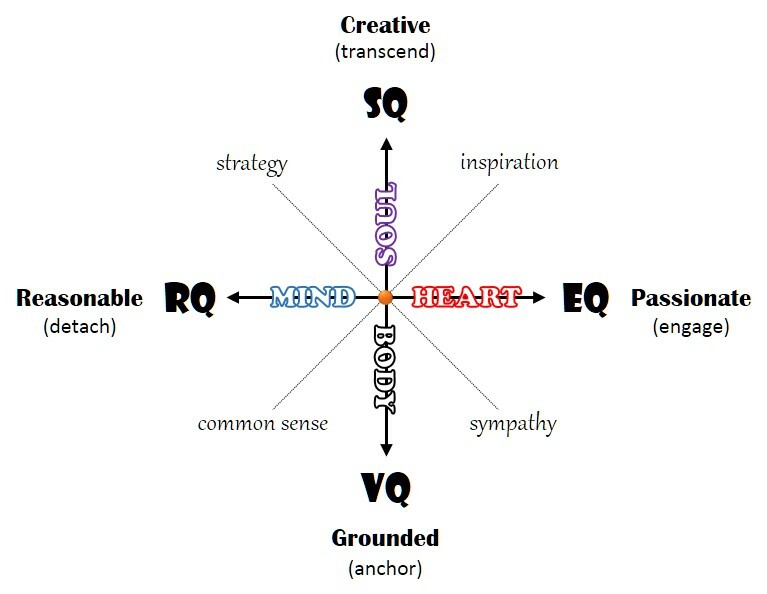 The terms arranged along the vertical axis name specific accomplishments, intentions, and virtues which are central to our own journey of self-actualization as human beings. My returning reader knows that by ‘self-actualization’ I am not referring to some kind of elite individual attainment of miraculous powers and supernatural abilities, but rather to the process whereby our deepest nature is gradually awakened and fully expressed. The Great Process of our universe, with the emergence of life and its increasingly complex networks of mutuality and interdependence, has brought us at last to the brink of what I call genuine community. I will even boldly designate this as its ultimate aim: sentient, self-conscious agents living in creative and inclusive fellowship. But how can we finally get there? With the advent of self-conscious agency, evolution has given the fulfillment or frustration of this aim over to us. It’s our choice now whether or not we will connect, for good or ill. This awareness has long been the inspiration behind the spiritual wisdom traditions of our world cultures. In this post we will explore what I have elsewhere named the Shining Way, referring to that bright path of deeper insights and higher truths, by the light of which humans can find their way to fulfillment and genuine community. There are many places along the way where we can get snagged and hung up, and in other posts I have analyzed the causes and consequences of these common neuroses. They all tend to culminate in the formation of convictions which lock our minds inside boxes (like thought cages) that help us feel secure and certain about things. Here, however, I will leave pathology aside and clarify instead the key elements of the Shining Way itself. Each of us can use this description as a kind of mirror on our own life experience: How true is this of me? Where am I still growing? Where am I hung up? This term is not to be confused with the set of beliefs, values, and practices that characterize a given religion – for example, the Christian faith, the Jewish faith, or your personal religion. Its deeper etymology reaches far below such surface expressions of religious life and into the place where consciousness simultaneously descends and expands beyond our personal identity as self-conscious agents. Underneath and supporting ego are the mind and body, or in more technical terms a sentient nervous system and its host organism. The body metabolizes matter for the energy it needs, and this energy is used in part to electrify nerve circuits and brain networks that support our conscious experience of sensing, thinking, feeling, and willing. There is an obvious dependency of ego on mind, of mind on body, of body on matter – and as quantum science confirms, of matter on energy – all of which comprises what I name the grounding mystery. Faith is our capacity for letting go of ego preoccupations in order to center our mind, calm our body, and simply relax into being. Those preoccupations tend to tangle us up in worry, frustration, disappointment, and fatigue. In letting go of them, at least for a few moments, we can rest back upon the deeper support of existence itself. In ancient languages faith derived from the root meaning “to trust,” in the sense of releasing control in grateful acknowledgment of the present providence (personified in many religions as a provident presence) of reality. When ego can develop upon a stable foundation of faith, our personality is able to organize around its own autonomous center. 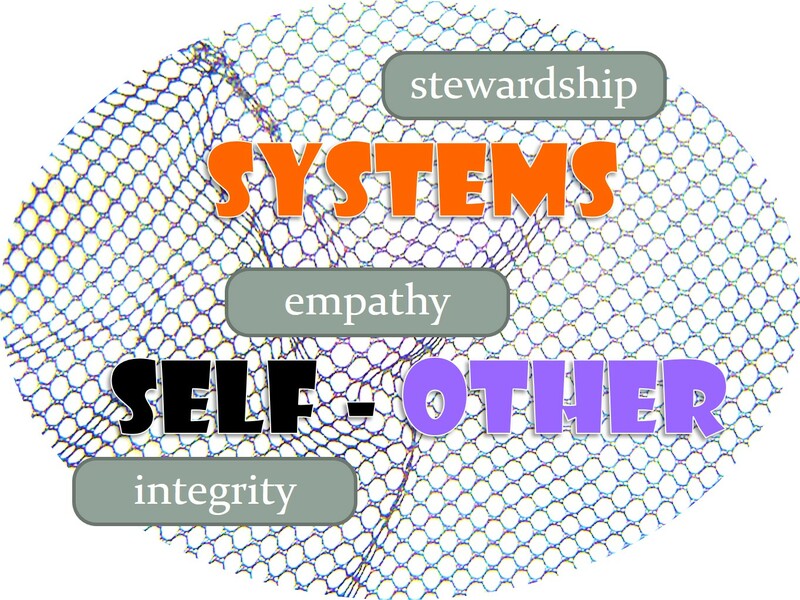 Integrity is a word that means “one, whole” in the way a complex system holds together in functional harmony. Certainly this has a clear moral significance, referring to consistency in judgment and behavior across dissimilar ethical situations. As we’re using the term here, however, integrity is even more a psychological achievement indicating a well-integrated personality. Our inner life is stable and centered (by virtue of faith) in a condition called ego strength. 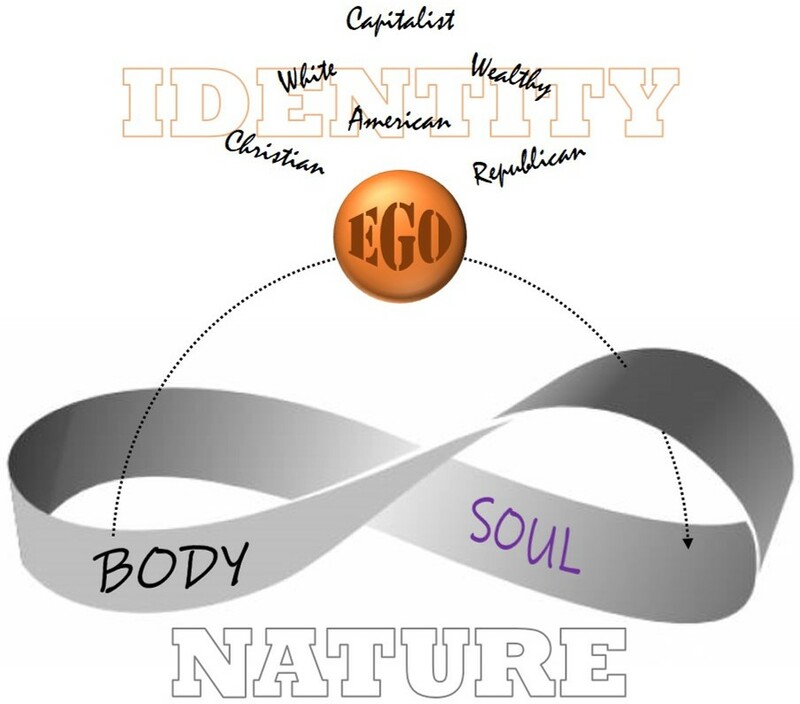 If ego is our centered identity in engagement with the social world around us, its strength is a virtue of how effectively our internal impulses, motives, feelings, and opinions are “held together” in a coherent and harmonious sense of self. 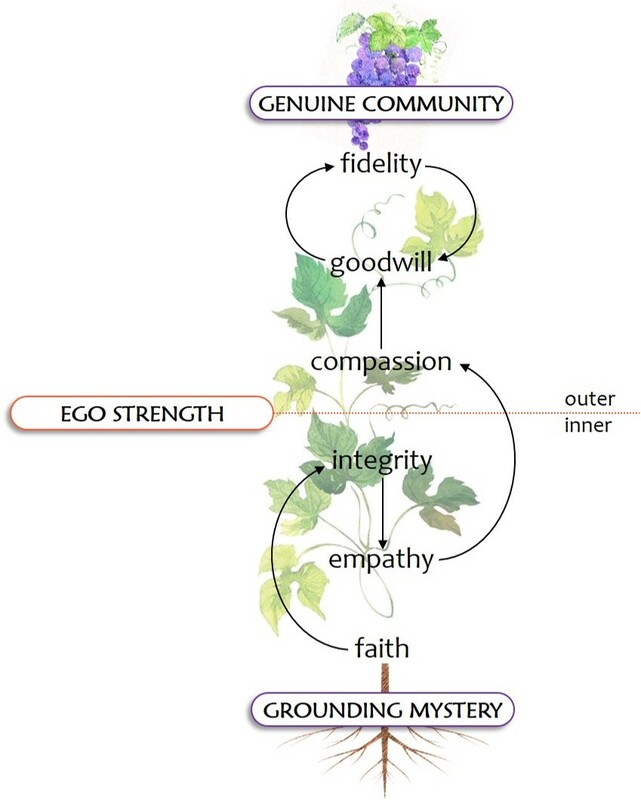 You will have noticed in my diagram that the three “inner” virtues of the Shining Way are not connected in a simple linear manner. This is because our third element, empathy, is a capacity made available only to the degree that a unified sense of self allows us access to our own human experience. It helps to imagine faith and integrity as providing a calm transparency to the “atmosphere” of our inner life, which mediates a clear vision of how experiences of all kinds make us feel. As a human being you have experienced love, frustration, failure, joy, longing, confusion, loneliness, pain and loss, among many other feelings. Notice that we are not speaking exactly of external circumstances or objective events, as much as how those circumstances and events made you feel inside. Each of us has a unique threshold of sensitivity and tolerance, along with our own set of beliefs and expectations that serve to spin meaning around our experiences. Some of us may be more sensitive or tolerant than others, but nevertheless we all know what love, longing, or loss feel like. Empathy literally refers to the inner (em) experience (pathos) of being alive. Importantly, it is not (yet) our sensitivity to the suffering of another, which is called ‘sympathy’ (sym = with or alongside) in Greek and ‘compassion’ in Latin. And while modern Western psychology defines empathy as compassion with an added component of cognitive understanding as to what another person is going through, it is actually an intuition rooted in the depths of our own human experience. Only one deeply in touch with her own human experience, who has contemplated his personal experiences of life, can reach out with understanding to another who is undergoing a similar experience. With compassion, the Shining Way opens to the realm of relationships and to the inviting frontier of genuine community. Our sensitivity to what others are going through is directly a function of our own intimacy with attachment and loss, love and loneliness, success and failure, joy and sorrow. Such empathetic self-understanding will frequently motivate us to help another in distress, confusion, or bereavement. To step into their experience with them (sym+pathos, com+passio) for the sake of providing companionship, encouragement, comfort, or consolation in their need strengthens the human bond on which genuine community depends. Compassion, then, is more than just a desire or willingness to join another person in their suffering. Its intention is to help lessen the pain, provide support, improve conditions, to somehow assist with their healing or liberation. Goodwill is very simply a matter of willing the good, of acting benevolently in the interest of another’s health, happiness, and wellbeing. Whereas compassion is the resonance of feeling we have for someone going through an experience with which we are deeply and intimately familiar, goodwill names the variety of ways that move this feeling into action. Charity in Western capitalist societies has become a way of aiding victims of systemic injustice, without confronting the system itself. 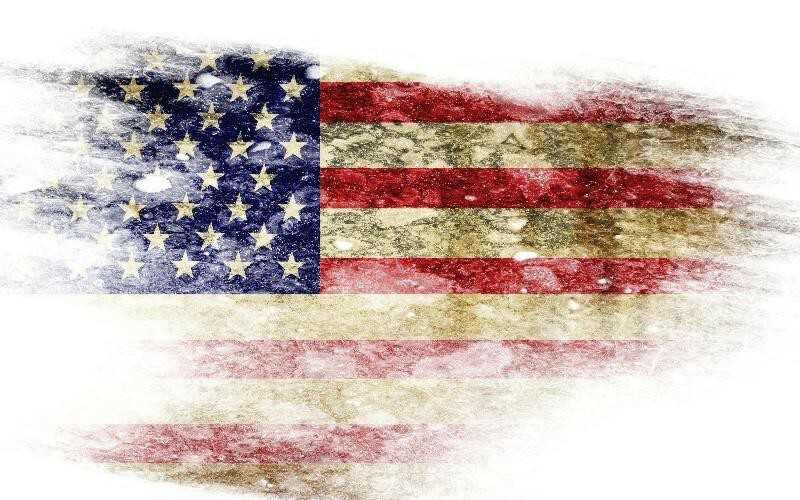 In some instances, acting for the greater good can put us into opposition with the traditions, institutions, and authorities who profit from keeping things the way they are. With goodwill we have at last entered that higher zone of human self-actualization called genuine community. When we who are inwardly grounded and securely centered make compassionate connections with others around us, our benevolent acts of kindness, generosity, advocacy, encouragement, and forgiveness conspire to create what I call the kindom of spirit. As a kindom, genuine community arises with the awareness that we are all related as sentient and self-conscious agents. Despite the fact that each of us stands in our own separate center of identity – but we should also say precisely because of this – we can see that all of us are very much the same in our deeper nature as human beings. And as a kindom of spirit, we seek the harmony, wholeness, and wellbeing of each one, one with another, and all of us together as one. Fidelity is faithfulness to the kindom of spirit. By its virtue we dedicate ourselves to strengthening our connections, repairing ruptures, resolving conflicts, fostering creativity, transcending fear, and nurturing our shared aspirations for the liberated life.